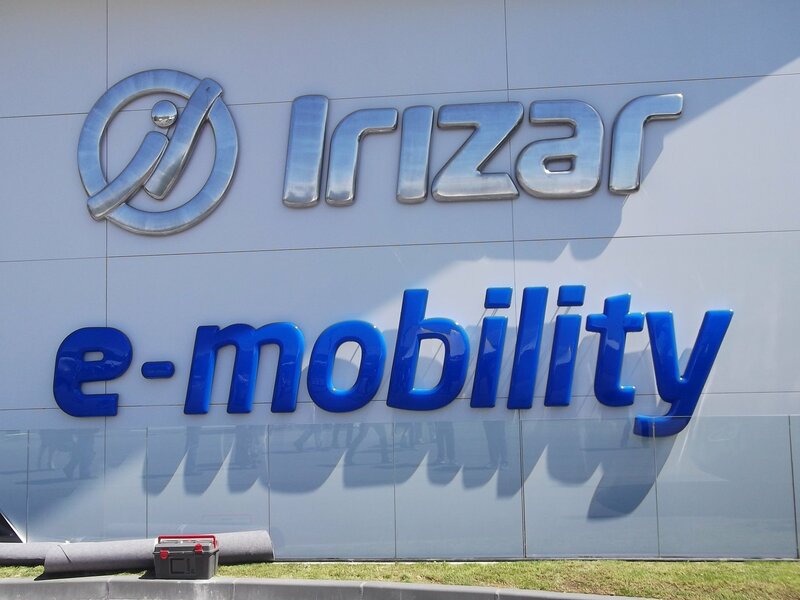 Spanish coach builder Irizar has just opened a new facility to build electric powered buses. It is the first plant in Europe dedicated to the manufacture of zero emission commuter passenger transport vehicles. Currently 150 people are employed at the factory, but this will increase 500 in the next five years. Irizar has invested significantly in electric buses. In total €75 million has put towards the project so far and that investment will continue. At the moment there are 150 Irizar electric buses in service in Europe and more will reach European city bus routes by the end of the year. Range distance is the key to electric operation and with a capacity to travel 200km over a ten-hour period, Irizar buses can compete with diesel. Some opportunity charging is necessary, but as the whole electric project improves, advances in this technology is adding range and reducing cost. At the moment capacity is at 1,000 units per year, but with extra shifts and employees this can be increased. Speaking at the opening of the new factory, Hector Olabe, Managing Director said: “The days of a combustion-based bus are gone,” e-buses can reduce carbon emissions by 120 tonnes per year. In Ireland Irizar is represented by Westward Strokestown. Patrick Kenny, Joe Crann and Pat Carton from the Roscommon based company were at the opening and all expressed confidence with the developments to date.